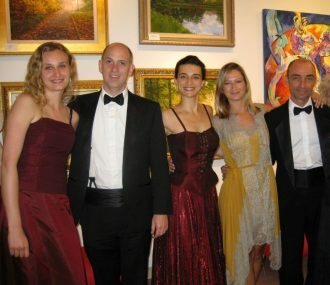 As co-owners of East West Fine Art, galleries specializing in Russian and Eastern European art in Naples, we have been committed members of the local business and artistic communities for more than a decade. While continuing our work at the Gallery, we propose the foundation of a new art institution in Southwest Florida: the Russian American Museum of Art (RAMA). 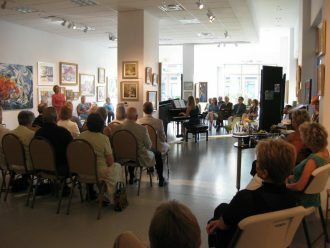 Our goal is to create the Russian-American Museum of Art (RAMA) www.ramanaples.org, a venue that will strengthen Southwest Florida’s position as a cultural destination. RAMA will host works from one of the largest US-based collections of realist and social realist art from the former Soviet Union —paintings created from the 1950s to the mid-1980s by artists based in Soviet Ukraine. This museum-quality collection was assembled by Ukrainian-American collector Jurii Maniichuk in the 1990s, after the fall of the Soviet Union. At that time, socialist realist works were discredited and in danger of being destroyed. The collection is of tremendous artistic and educational value: It includes monumental images of historic moments; scenes of ordinary workers, peasants, and family life; and landscapes and still lifes of the then-largely-closed Soviet Union. 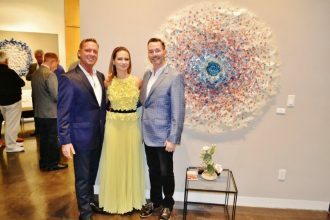 Because former Soviet countries no longer allow the export of such national treasures, the collection represents a unique addition to artistic offerings available to art lovers and students in Southwest Florida. Over time, RAMA will endeavor to acquire similar masterpieces and host traveling exhibitions of art works from Russia, Ukraine, Eastern Europe, Central Asia, and Mongolia—all art that has been largely undiscovered and inaccessible to U.S. audiences before now. The Museum will become a spotlight in the region, devoted to multi-dimensional artistic and educational activities around the artworks, their history, and their conservation. RAMA will attract visitors from other states and abroad, raising the prestige of Naples and surrounding areas and contributing to Southwest Florida’s cultural and economic development. Historical Art. Long-term exposition and traveling exhibitions of historically important works from Russia, Ukraine, and Eastern Europe. Collectors’ Club. Short-term expositions, sales, and auctions of important works of all genres owned by Florida art collectors. A number of interested parties have already come forward to support the future museum. If you would like further information, please contact Olga or Leeza Arkhangelskaya. 239-220-7503; info@ramanaples.org.